Communication is the transfer of information and understanding from one person to another. It is a way of reaching others with ideas, facts, thoughts, feelings, and values. It always involves atleast two people – a sender and a receiver. Communication is what the receiver understands and not what the sender says. Organisations cannot exist without communication. If there is no communication, employees cannot know what their coworkers are doing, management cannot receive information inputs, and supervisors cannot give instructions. Coordination of work is impossible, and the organisation will collapse for lack of it. Cooperation also becomes impossible, because people cannot communicate their needs and feelings to others. We can say with confidence that every act of communication influences the organisation in some way. When communication is effective, it tends to encourage better performance and job satisfaction. People understand their jobs better and feel more involved in them. One of the main hindrances for the successful performance of a group or organisation is lack of effective communication. Because, individuals spend nearly 70% of their working hours communicating, writing, reading, speaking and listening. So communication skill is one of the essential qualities required for every individual, whether in a group, work place, family or in any situation. It is worth remembering, “Communication can make or break a relationship”. As such, communication skill is a personality trait to be developed by all. Like other social skills, communication skills can be taught and learned, and they improve with practice. 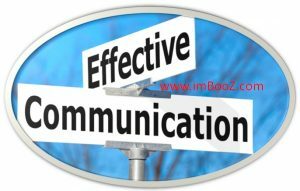 Before going into the details of communication skills., we should discuss communication: – its definition, objectives, media, principles, types, barriers etc. The dictionary defines communication as a process by which information is exchanged between individuals through a common system of symbols, signs or behaviour. Skill is defined as a learned power of doing something competently and something that is a developed aptitude or ability. Put the two together and it is obvious good communication skills can be learned and that those skills can be used to effectively deliver your message. Human communication is purposive and so understanding is vital in the process of communication. Any communication involves four essential elements, viz. The process of communication involves six stages. The first three stages occurring at the sender’s end and the remaining three at the receiver’s end. IDEATION: Step 1 is to develop an idea that the sender wishes to transmit. This is the key step, because unless there is a worthwhile message, all the other steps are somewhat useless. This step is represented by the sign, sometimes seen in an office, that reads, “Be sure brain is engaged before putting mouth in gear.”. ENCODING: Step 2 is to encode the idea into suitable words, charts or symbol for transmission. At this point the sender determines the method of transmission, so that the words and symbols may be organised in suitable fashion for the type of transmission. TRANSMISSION: When the message is fully developed, step 3 is to transmit it by the method chosen, such as by memo, phone call or personal visit. Senders also choose certain channels, such as bypassing or not bypassing the superintendent and they communicate with careful timing. Today may not be the right day to talk to one’s manager about that pay raise. Senders also try to keep their communication channel free of barriers, or interference, so that their messages have a chance to reach the receivers and hold their attention. RECEIVING: The encoded message sent by the sender is received by the receiver, who tune to receive the message. If the receiver does not function, the message is lost. DECODING: Step 5 is to decode the message so that it can be understood. The receiver tries to get the meaning or understand from the symbols by the sender. ACTION: The receiver gets the message and acts or responds in some way. 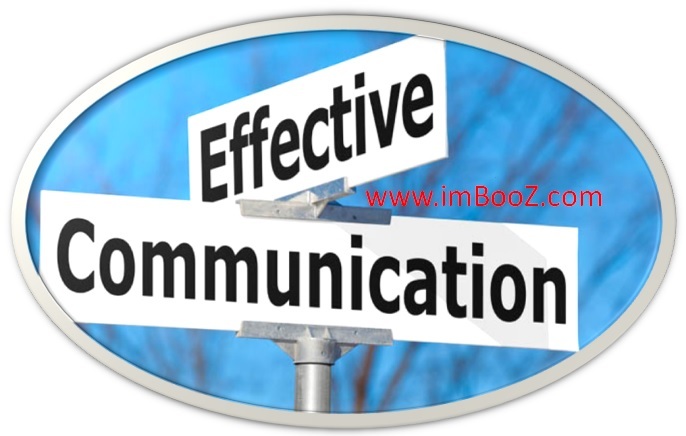 For effective communication mutual cooperation between the sender and receiver is essential. It is desirable that the receiver pays proper attention, gives feedback or response to the sender so that two-way communication is established. For effective communication, sharing of ideas or thoughts is a necessary condition, which can be achieved only through participation. The main goals of communication are to build interpersonal relationship and to influence others. 5.1 Written communication includes letters, circulars, memos, telegrams, reports, minutes, forms and questionnaires, manuals etc. Merits and limitations of written communication. It is accurate and precise. It can be repeatedly referred to. It is a permanent record.